A Mexican couple caught bringing dismembered human remains in a baby stroller may have opened the case to killings of as many as 20 females, a leading prosecutor shared Monday. “He seemed happy about what he had done,” Gomez told Radio Formula the male appeared happy with the killings; there were signs he suffered a personality disorder and resented his mom and a previous relationship. “The individual discussed 10 cases in which he provides information, the names of the victims; he provided us the clothing they had on at the time,” Gomez shared with the media. After obtaining a warrant the crime scene investigators found 8 plastic containers full of dismembered body parts and cement in the couple’s house, however, more body parts were discovered in a refrigerator, wrapped in plastic bags. DNA and other test are now being carried out on the grisly proof. 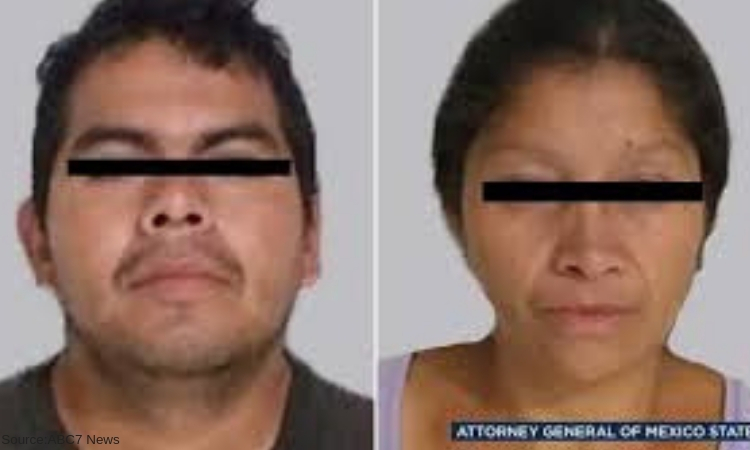 The couple also confessed in an open police statement that they had kidnapped and sold one of the dead women’s 2-month-old baby to another couple, authorities were able to locate the baby and the couple. The baby is in professional care; however, the couple has been detained. Mexico State, which borders Mexico City to the east, north, and west, has suffered from waves of women’s killings in the last few years numbers not even correctly recorded due to the amounts happening. A 2017 report from Mexico’s Interior Department, the National Women’s Institute and UN Women found that 52,210 killings of women were recorded between 1985 and 2017. Almost a third occurred in the last 6 years of that 32-year period. Only 8 Days Away From "Comedy For A Cause " Event Featuring Mike Tyson and Russell Peters!